When Ecuador-native Karina Schweitzer broke up with her boyfriend and had no family or friends in America to turn to and nowhere to live, she found a room to rent in Judy Miller’s Seminole home. Pola Avlonitis, who moved back to Florida without a job and placed an ad on Craigslist looking for a roommate, also ended up at Miller’s three-story townhouse with views of the Intracoastal Waterway. So did 80-year-old Jeannie Carbonneau, who felt that at her age it would be safer to live in a metropolitan area than to remain in the Georgia mountains. All three women found affordable housing through the 4-year-old Home Share Pinellas program that matches county residents with potential renters. In the past six months, the program benefited from an influx of funds from the Pinellas County Housing Authority that allowed it to hire a second full-time person. The housing authority has committed $57,000 to the program for 2011. 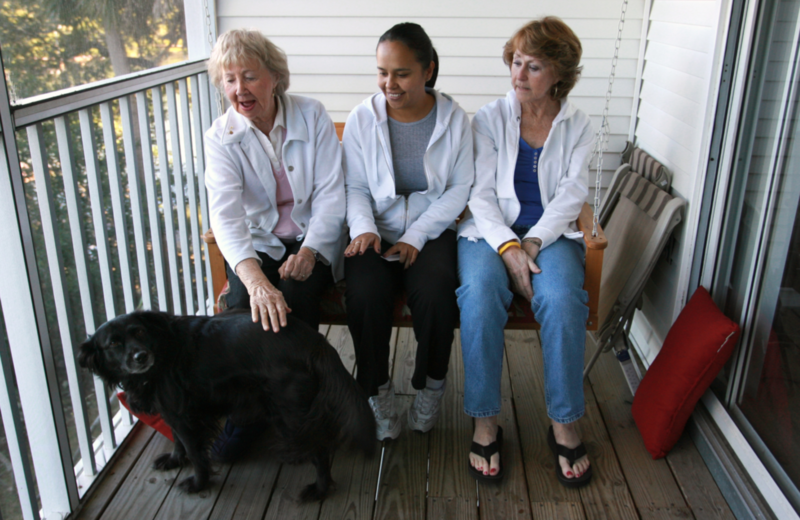 The two women who share her four-bedroom, three-bath home not only supplement her in- come, they provide welcome companionship, she said. For the first three years of Home Share Pinellas — the first Home Share program in Florida — Herskowitz was its sole full-time employee. The Tarpon Springs Housing Authority established the program in 2006 and set up a nonprofit, Local Community Housing Corp., to run it. But with only Herskowitz, the program grew slowly. In early 2009, the Pinellas County Housing Authority expressed interest in a partnership. “The more we can do to help people in need with some type of housing opportunity, the more we are meeting our goal as the public housing agency,’’ said Debbie Johnson, executive director of Pinellas County Housing Authority, which has offices in Largo. “Maybe somebody would be able to use the program to make their mortgage payment to keep their home, or somebody who couldn’t afford to rent an apartment would be able to rent a room with kitchen privileges,’’ she said. The partnership has meant the addition of a full-time case manager to match residents with potential renters. “We have a chart of the growth. It doubled since we got that person,’’ said Herskowitz. The program conducts background and reference checks on both those renting rooms and those seeking a place to live. Herskowitz said those who want to rent rooms include people on limited incomes and those who can afford their homes, but not rising utilities. “Sometimes there are also middle class people who are suddenly unemployed,’’ she said. Renters include students, people on fixed- incomes and the homeless. Arrangements tend to last from a few months to a couple of years. “We don’t do shelter and we don’t do transitional housing,” Herskowitz said. “We have placed homeless people. We’ve worked with residents of Pinellas Hope, Beacon House, domestic violence shelters, with people who have an income, whether disability, or they work, but they don’t have enough to have a place to live.’’ The average rent is about $400 to $500. The pro- gram does not require deposits, but renters must pay their first month’s rent when they move in. Herskowitz said that it’s rare that matches fail but admitted that problems do arise. Sometimes, she said, personalities clash. “This is an unusual situation and I am available and do supportive counseling to try to encourage people to work out any issues. But we haven’t really had too much,” the licensed clinical social worker said. For Schweitzer, Miller’s townhouse was the perfect place to take a break from a relationship. “It worked out well. I had my privacy with my bedroom,’’ said the 30-year-old, who has since married her boyfriend, lives close by and is friends with her former landlady. Miller now shares her home with the two women she refers to as housemates, three dogs and a cat. For the most part, the women live their own lives, interacting occasionally around a cup of coffee at the kitchen counter. Avlonitis pays $375 for a small, light-filled room on Miller’s first floor, with a guest bathroom nearby. She thought Home Share was a great idea, but found Miller’s place through Craigslist. “She responded to my ad and we talked on the phone a while and she was actually in the same neighborhood where I was living with my mom and the same neighborhood where I grew up,’’ Avlonitis said.Miller, 62, suggested they make their match formal through Home Share. Still, there have been a few hitches in her present arrangement, admitted Avlonitis, 44.